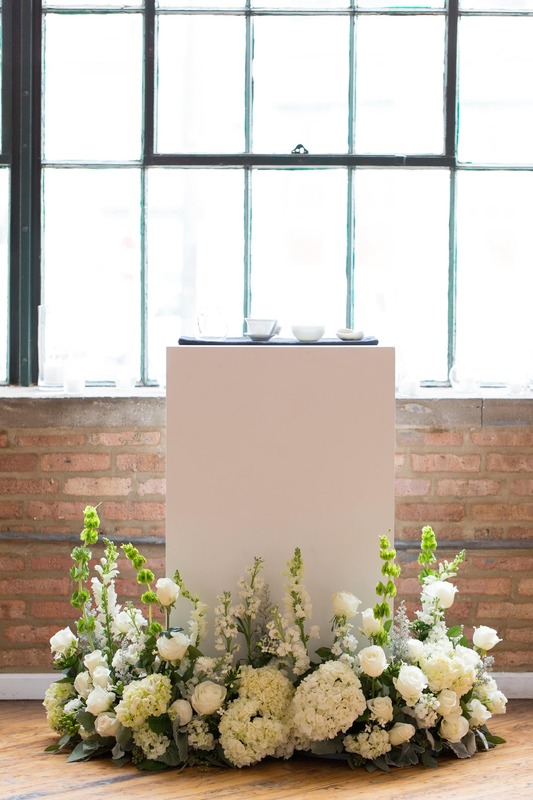 Because tea is what brought Katie and I together, we thought we’d use it in our wedding ceremony. Let me explain first how tea brought us together because some people seem to think this kind of thing just doesn’t happen. Geoffrey Norman aka “Lazy Literatus” has a “standing ‘scientific’ theory that tea and dating don’t blend.” I asked him what he thought of our relationship and he said that it “seems to exist in stubborn defiance of my theory” and that Katie and I must have “sold our souls to Guan Yin… or something equally plausible.” All joking aside, Katie was working on her masters in gastronomy and while writing her thesis entitled: “A Century of Tea in the United States,” was introduced to me by a fellow tea blogger and asked if she could interview me. The rest is history. So we decided to use tea in our wedding as our unity symbol. Unity symbols are meant to symbolize the coming together of two families. 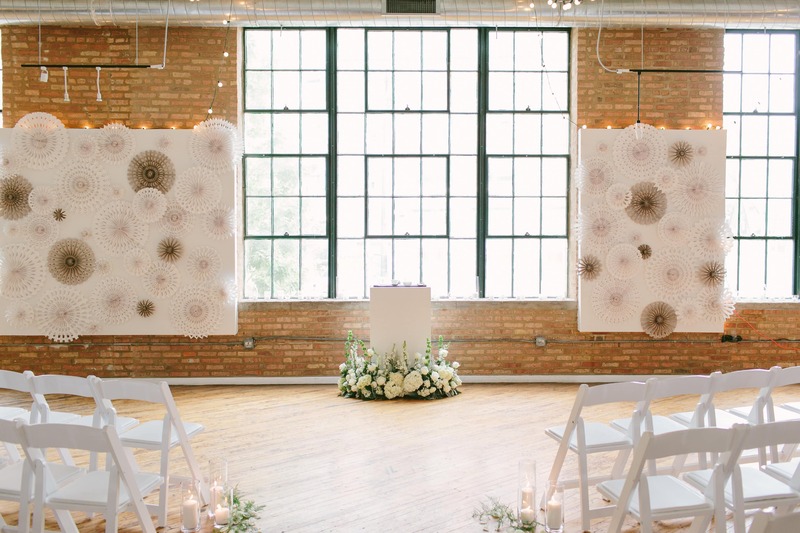 Popular unity symbols include using two candles (one from each side of the family) to light a single unity candle, and a family member from each side pouring sand into a unity vessel to be displayed in the home of the newlyweds. We chose tea. 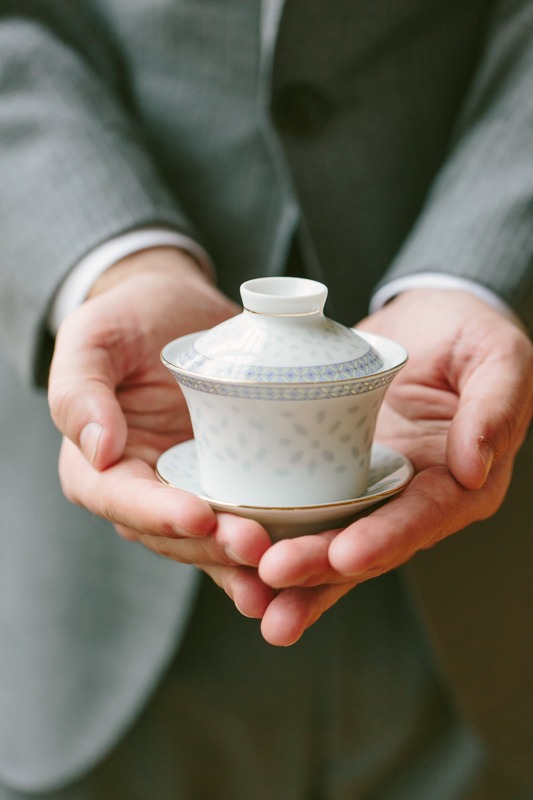 We found a beautiful wedding-ish gaiwan and a teacup at Camelia Sinensis in Montreal last fall for the ceremony. Katie’s mother poured leaves into the gaiwan, my mother poured hot water into the gaiwan, then I poured the tea out into the cup and Katie and I shared sips of our “unity symbol.” The best part of our unity symbol is that we purchased 6 pounds of oolong for it. We gave every guest a small jar of tea as a wedding favor and we’re aging the rest. 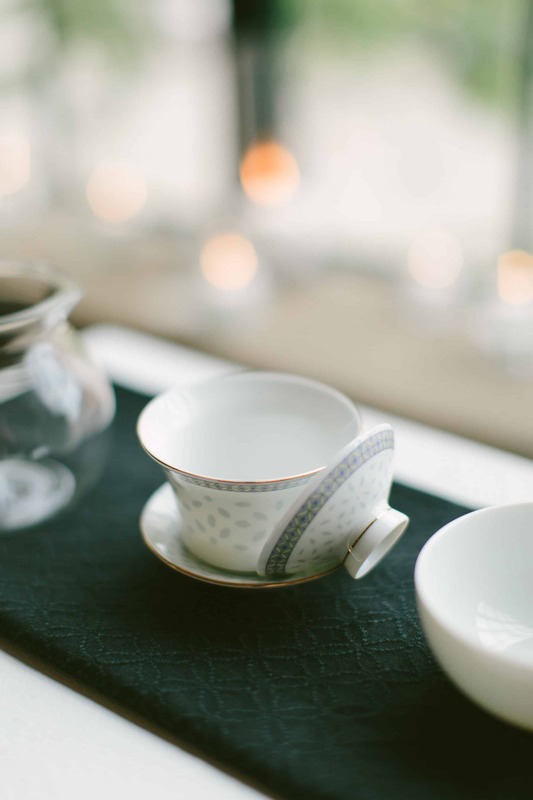 Each year, on our anniversary, we’ll break out our wedding tea-ware and some of our aging oolong and have a little tea sesh! 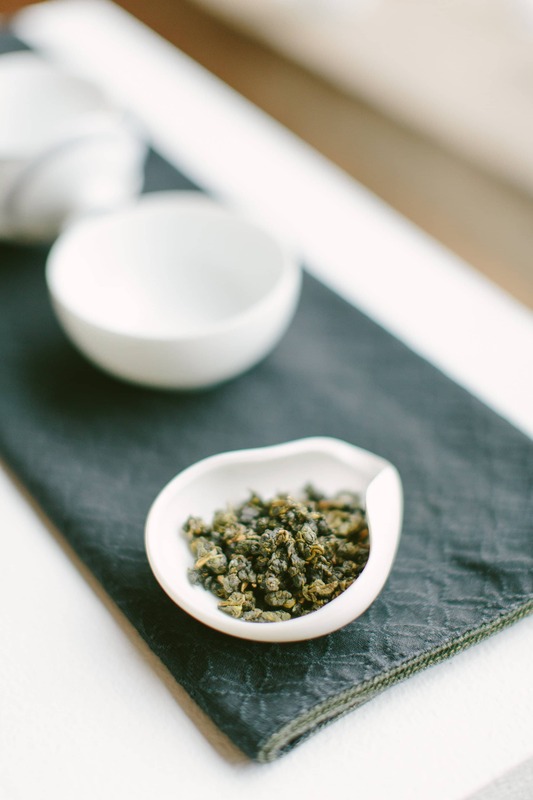 The tea we chose was Organic Mountain Oolong from Mountain Tea, many thanks to Chicco Chou! The altar, ready to go with the tea set-up. Close-up of the tea-ware on the altar. More of the wedding tea-ware. 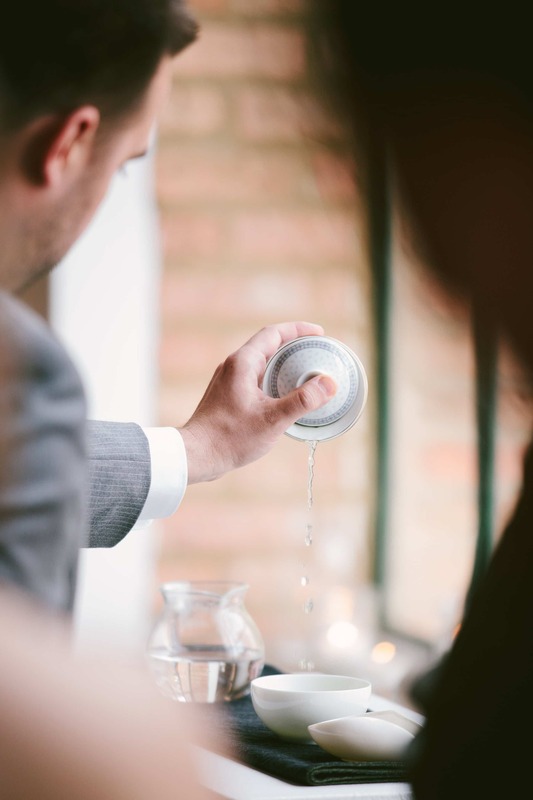 Pouring the tea during the wedding ceremony. 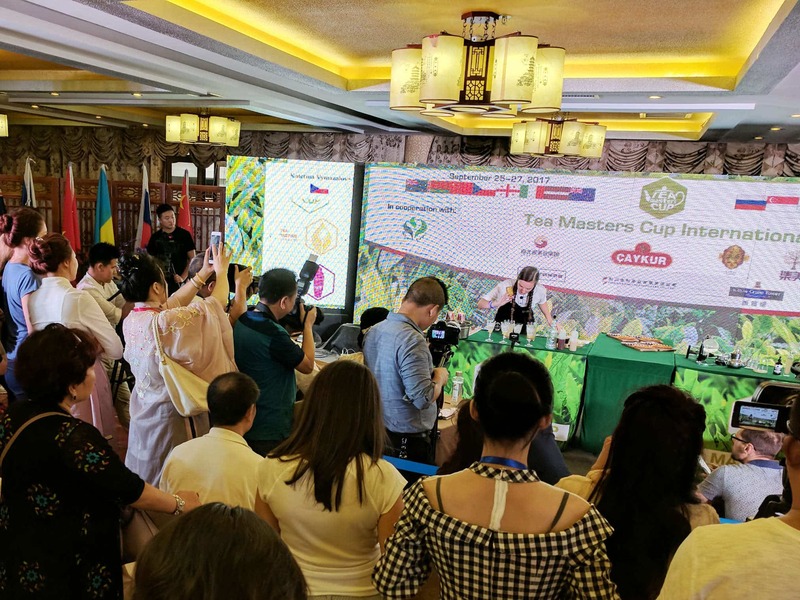 A closer and cooler shot of me pouring the tea during the ceremony. Katie and I getting hitched! Here’a a shot of our tea wedding favors. I love this. My boyfriend asked me to be his girlfriend at the tea place that I frequent. I love this! Great story and love your blog, I especially like this post as two days my wife and I celebrated our three year wedding anniversary.. she is Chinese and tea has now been a big part of my life for the last ten years but not intentionally. I feel guilty I didn’t appreciate the tea ceremony more at our own wedding in China at the time! but still remember the ritual. They seem to rush the process a little now in China when I have been to weddings which is a shame. A bit like photography for me, it’s been a big part of my life but never formally studied it.. same with tea .. so intend on changing that now as I have so much exposure to it with our travels. Omg, what a nice way to share your pasion with your love ones especially your moms. Regards from Colombia! 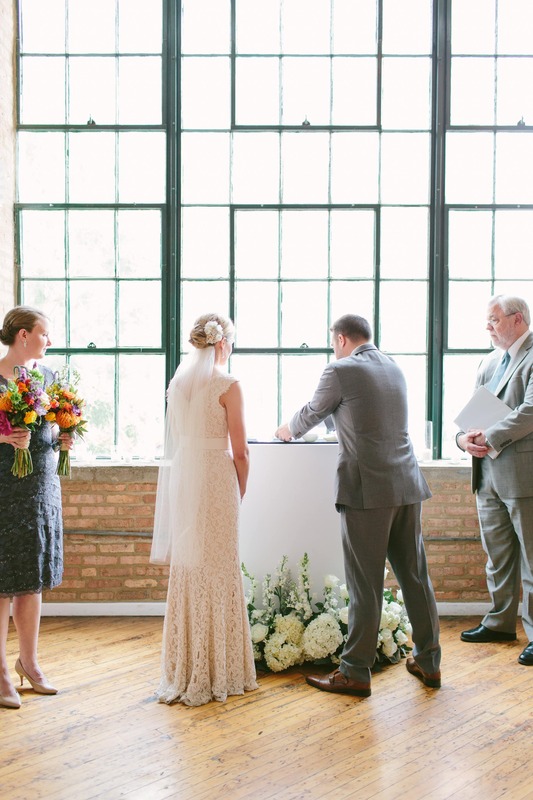 What a beautiful and thoughtful way to share your passion with your guests during your ceremony. What a natural extension of the two of you! 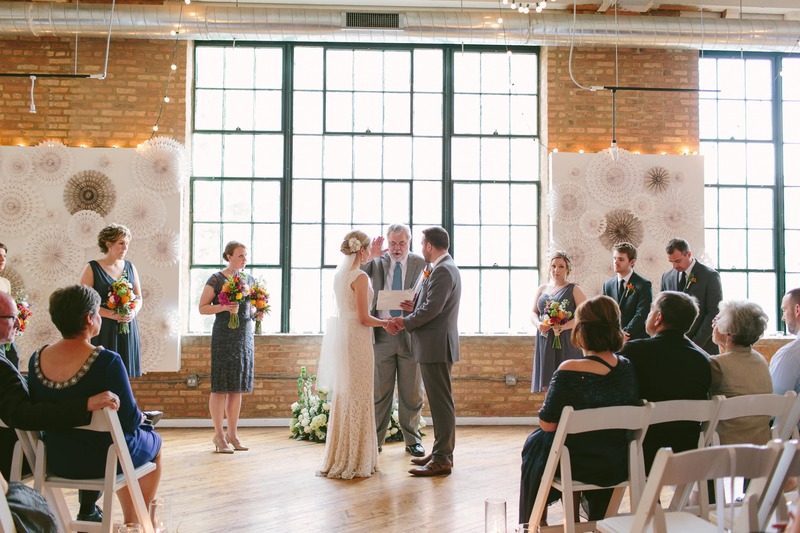 What a beautiful ceremony! I love the idea of drinking your wedding tea over the years, like frozen wedding cake but with tea. If I left a wedding with a jar of tea, it would definitely be my favorite wedding. Congratulations to you both! 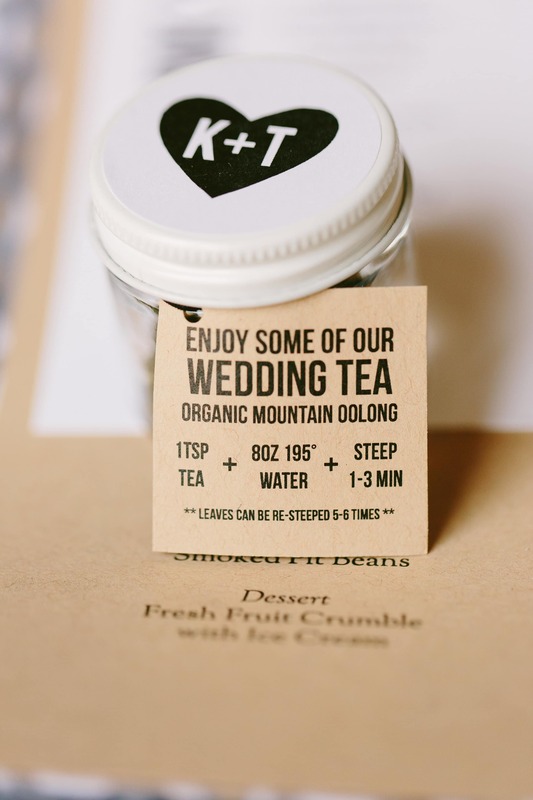 A lovely way to add tea into your wedding. I met my beau at Starbucks, I was ordering a soy chai latte, he was drinking a doppio. So tea was half involved, and opposites attract! He now enjoys when I make iced tea at home, and if it’s a tea-infused cocktail, even better 🙂 Beautiful wedding, beautiful story, beautiful couple–thanks for sharing! I guess she is from Montreal? I would love to read her thesis. Congratulations to both of you on your special wedding day with a truly memorable tea ceremony! What a wonderful wedding, congrats! wow, very nice 🙂 Congrats to both of you. I love this! What a beautiful story. There is probably nothing more solid and everlasting to build a relationship on, than on tea. 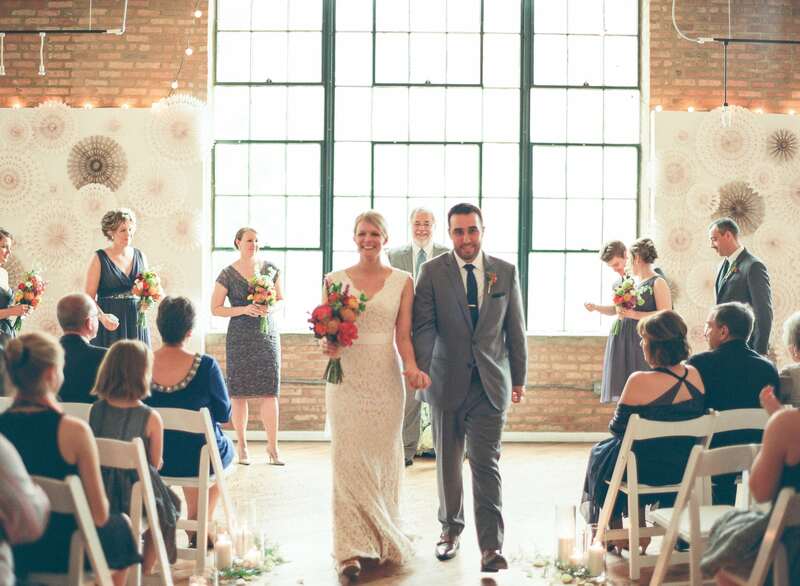 It’s a wonderful syllable: The eternal bond of marriage built on the white truthfulness of tea. Best of luck! What a wonderful story and beautiful pictures. I hadn’t realized that was how you two met. I love the way you paid tribute to tea on your special day. I love this, it’s beautiful! I hope many others choose this. Also, I will have to have a conversation with Geoff because I have seen many, many beautiful relationships that were brought together by tea.